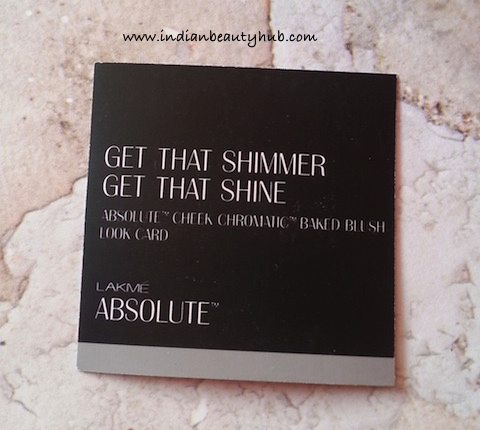 Hey everyone, today I’m reviewing the Lakme Absolute Cheek Chromatic Baked Blusher in shade Night Sparkle. I got this blusher free with my recent purchase of Lakme makeup products from an online shopping store. 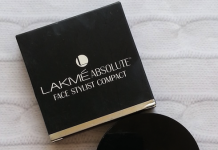 Lakme Absolute Cheek Chromatic Baked Blusher is available in 4 shades – Day blushes, Night sparkle, Day sheer and Night sheer. 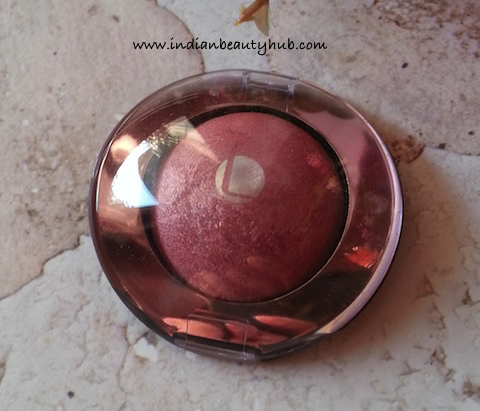 Packaging : Lakme Absolute Cheek Chromatic Baked Blusher comes in a dome shaped pan with a clear plastic cap. The packaging is sleek, sturdy and you can easily carry it while traveling. 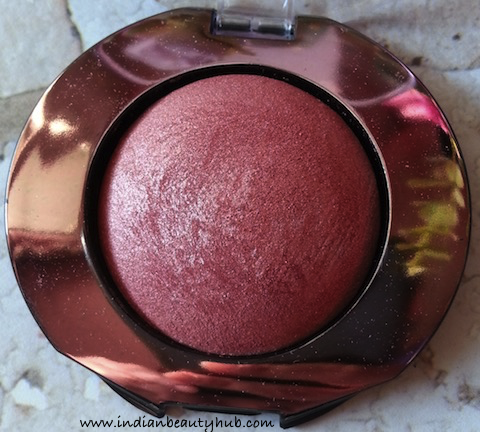 Price & Availability : The price of the Lakme Absolute Cheek Chromatic Baked Blusher is Rs.550 for 4g. 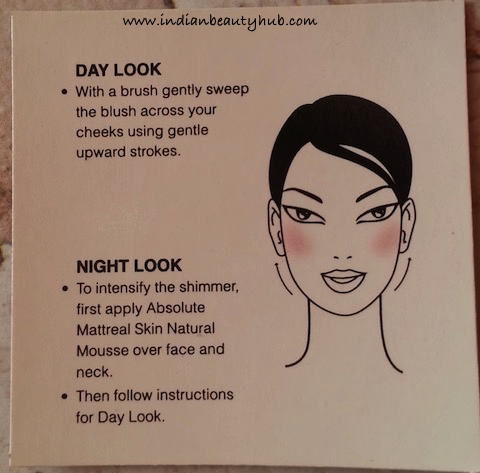 Lakme products are easily available at counters and leading online shopping websites. Efficacy : The shade Night Sparkle is a beautiful warm pink color with loads of silver & golden shimmer particles. 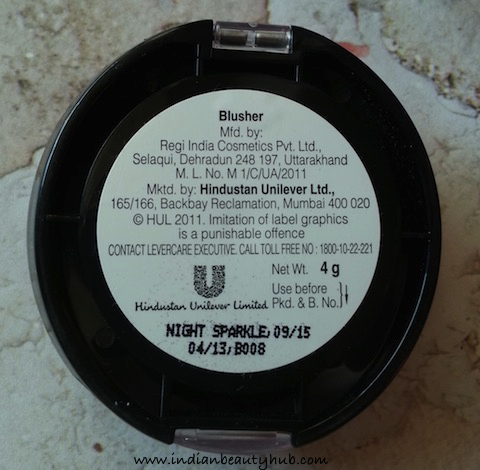 This finely milled powder blush has soft, smooth texture and it blends effortlessly on the skin. It has a good pigmentation and two swipes impart a nice amount of shine and colour on the cheeks. It stays on me for up to 8 hours and doesn’t get patchy or uneven. 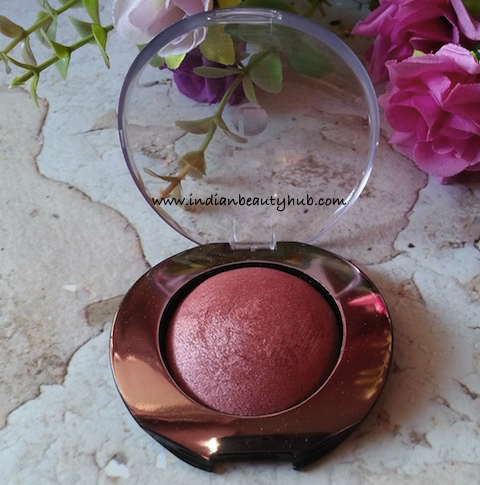 I find it less wearable as a day time blush as the shimmer is little overwhelming, it is more apt for the parties or night outs. It can be used wet for more intense color but I like using it dry. This particular shade will look good on medium to fair skin beauties. This blusher also looks very pretty when used as an eyeshadow. Sleek, sturdy & travel friendly packaging. Beautiful warm pink color with shimmer. Gives intense color pay-off with just two swipes. Soft, smooth texture and blends easily. Stay on for up to 10 hrs. Ideal for parties and night outs. It is totally worth its price. This particular shade in not apt for day wear. Claims : Luxurious powder blush, baked on Italian terra cotta tiles enriched with Jojoba Oil, Antioxidant Vitamin E for an extraordinary luminosity. Apply dry for a sheer effect or wet for a long lasting dramatic look. Fragrance free. 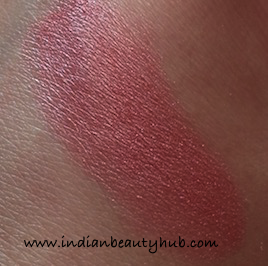 Lakme Absolute Cheek Chromatic Night Sparkle is a pretty pink color that is apt for special occasions. 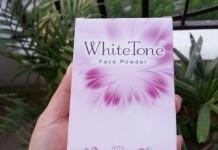 It has good pigmentation and stays on for long without fading. I really like this shade and would recommend it to everyone.